Bob Solberg of Green Hill Farm in North Carolina registered this sport of H. 'Gold Regal' in 1991 which forms a large size (25 inches high) mound of gold foliage with a chartreuse margin. 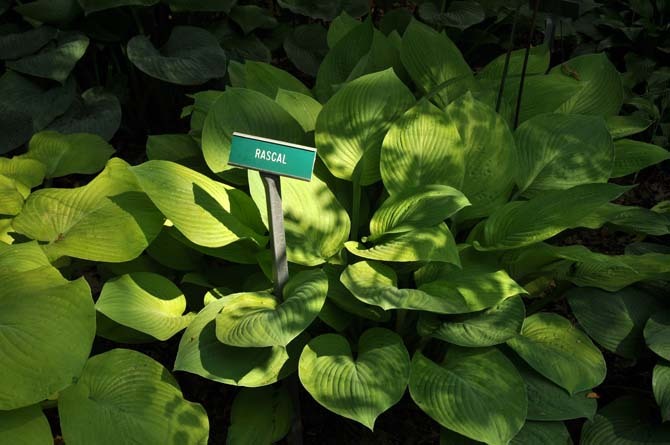 The leaf center tends to get lighter in color as the season progresses. It bears medium lavender flowers in July on 40 inch tall scapes. 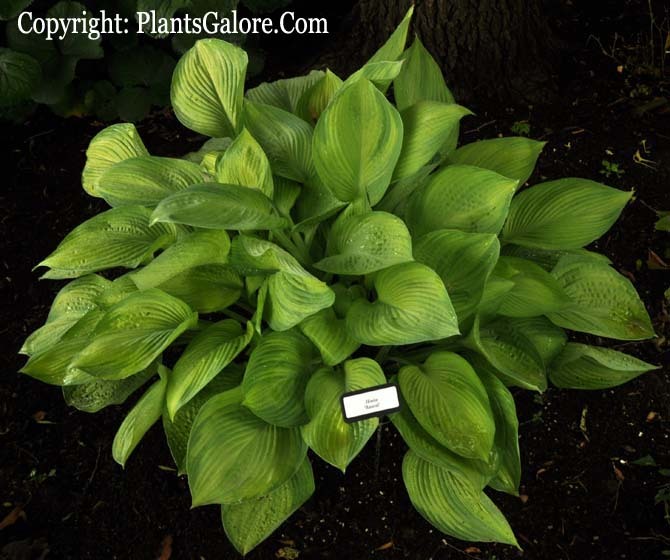 According to The Hosta Handbook by Mark Zilis (2000),this is an "...outstanding plant."